As fall quickly approaches, the end of the gardening season is just around the corner. But with everything going on in our garden, one would never know it. 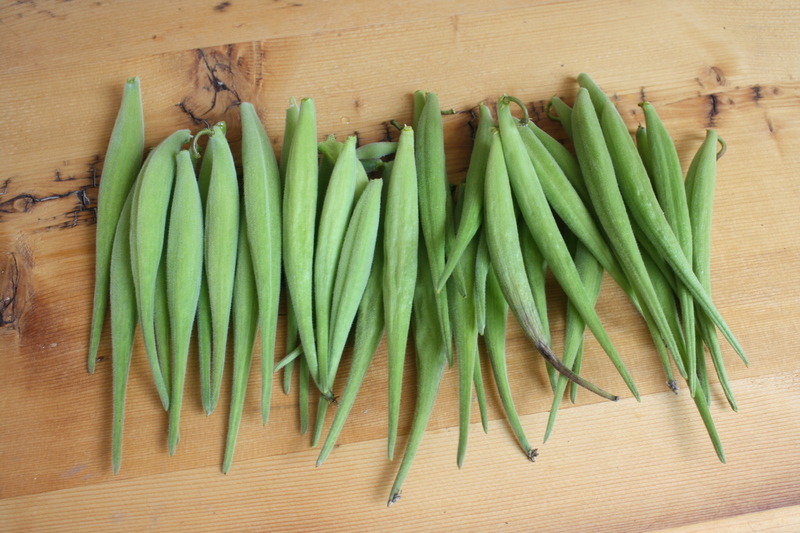 So, for now, we are just so very grateful for all that our garden provides for us. As I mentioned last Tuesday, our tomatoes are in full swing right now. That means lots of canning is taking place around our house. This year I am attempting something new after reading my favorite blog. 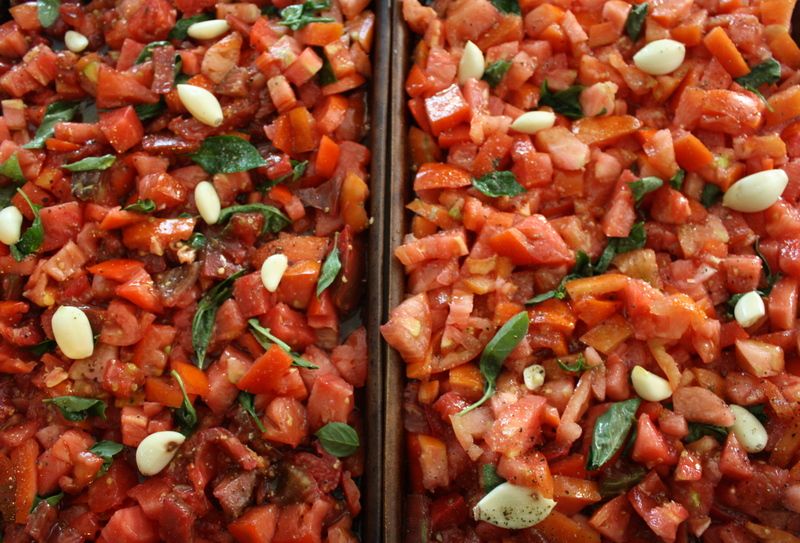 I am roasting my tomatoes and basil with a bit of garlic, olive oil, salt and pepper in a 450 degree oven until the tomatoes begin to brown. I then let it cool to room temperature, scoop the mixture into quart jars, and freeze them. 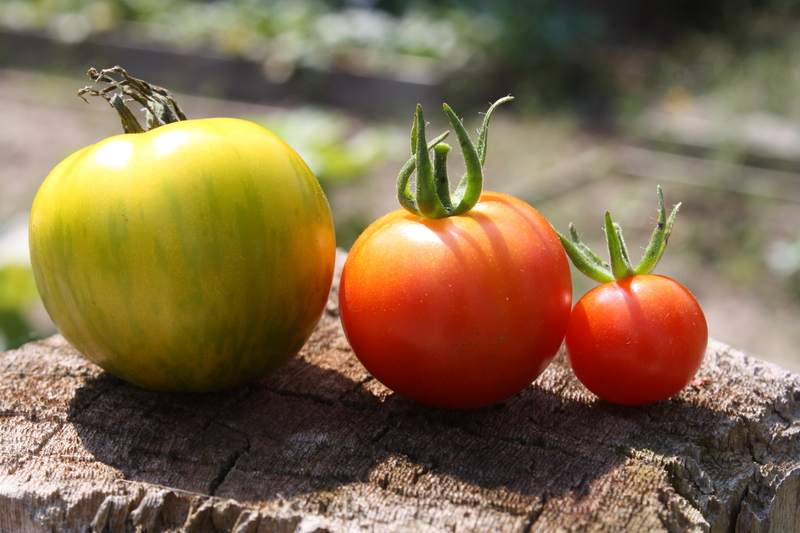 On a fun tomato note, last year I grew Mexican Midget tomatoes and Green Zebra tomatoes in our school garden. At the end of the growing season, my students and I tried a little experiment. 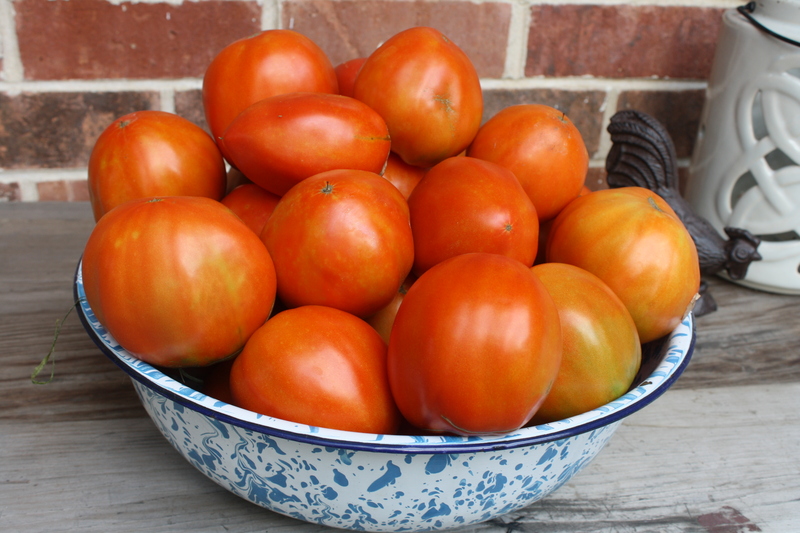 We picked about 3 tomatoes from each plant, sliced them very, very thin and left them to dry out on a coffee filter. Once the tomatoes were dry, I stuck them in my file cabinet until this past March. Then, using our class pet’s castings (Yes, we had worms as a class pet!) as a base, we placed the coffee filters (with the dried tomato slices on them) on top of the compost. We then coated the dried tomatoes with a thin layer of compost. Once mid-May hit, we transplanted the small tomato plants into our school garden and I also took some home. Above is the result of our experiment: some Green Zebras (left), some Mexican Midgets (right), and a nice cross pollinated version (middle). And the result of this cross is just delicious because it is sweet like a Mexican Midget, but also has a tang to it similar to the Green Zebra. Science is so fun! Our milkweed has begun to go to seed, and with my daughters’ current obsession with Little House on the Prairie, we are drying the seed pods and then plan to use the wispy, silky fibers to stuff a small doll. For the first time ever, we are growing pumpkins. And they are actually growing! 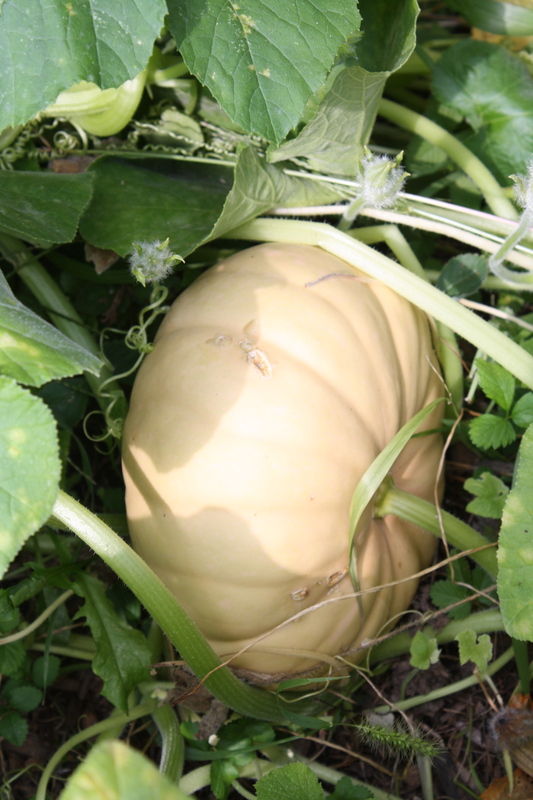 I cannot express my excitement when I went out to weed the other day and found this guy nestled in among the gourds we are also growing in that same space. The cucumbers are currently out of control. And truth be told, I have no desire to can pickles this year. At all. I am hoping my sentiment changes because I am not quite sure what do to with all of these guys that are currently sitting in the middle of my kitchen table. 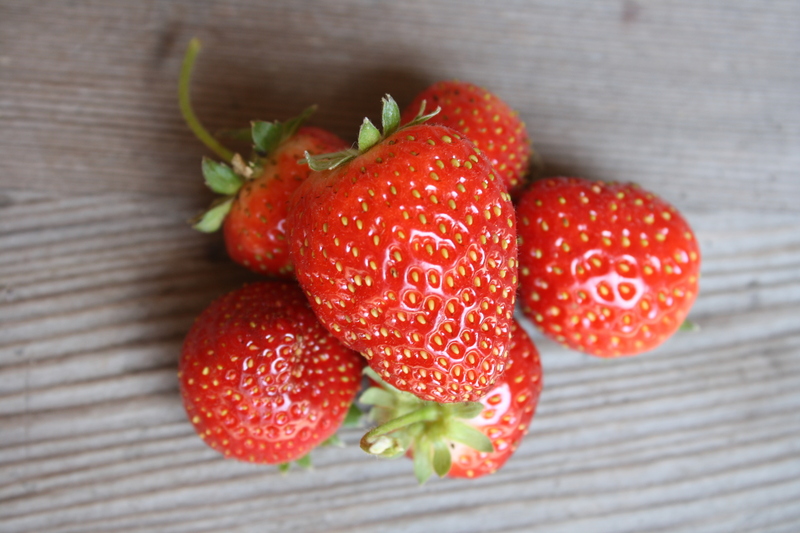 We are so incredibly fortunate to still be in the midst of our second round of berries. This has been a truly prolific year for us and berries. Yum. This entry was posted in Gardening and tagged backyard, DIY, eco friendly, farmer, food, food preservation, freezing, fresh, garden, gardening, gardens, Green Zebra tomato, growing, harvest, holistic, holistic living, home, homemade, homemaker, homemaking, Little House on the Prairie, make, making, mama, Mexican Midget tomato, milkweed, mindfulness, mom, mother, organic, pumpkin, sustainable, sustainable living. Bookmark the permalink. 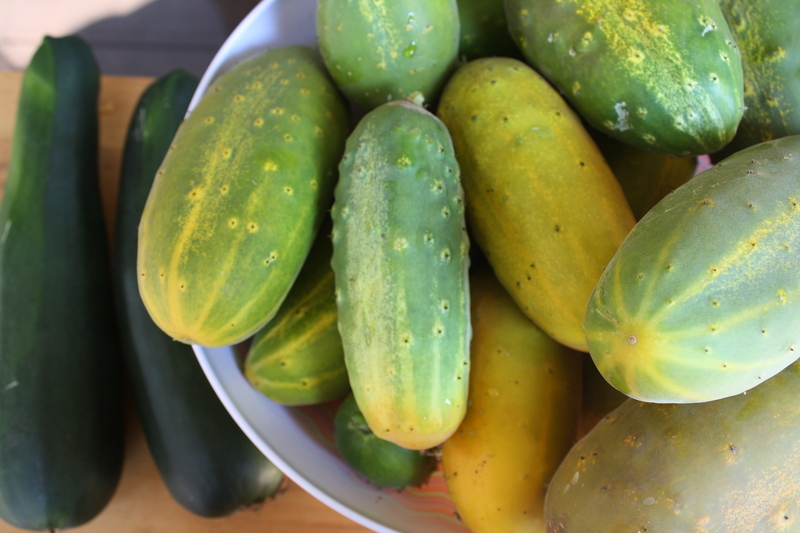 Have you ever considered using your cukes for dill or sweet pickle relish? I love both and I found it so much easier than pickles. And boy is it better than the grocery store stuff! All of your produce looks amazing!! That was a neat idea that you did with the tomatoes and the compost pile, I should try that! 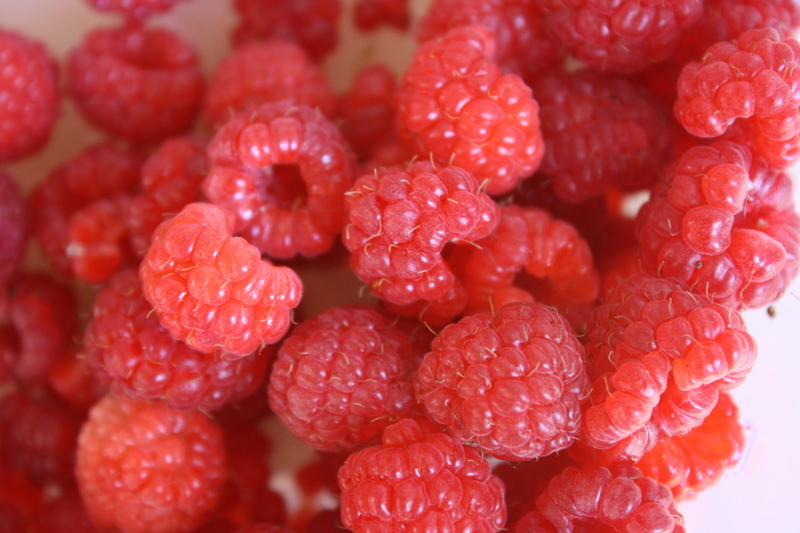 I am amazed at how beautiful your berries look, so yummy!! I think my husband slacked off a bit in taking care of our garden towards the end and we haven’t been having much, however we too planted pumpkins for the first time and I have two quite large ones that are really turning orange. How exciting! Love all of God’s creations!